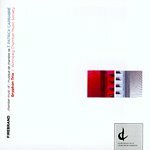 The Gryphon Trio attacks the works of T. Patrick Carrabré with the same energy and zeal they put into all their recordings. The ensemble’s clean elegance balances the brash virtuosity of Carrabré’s Firebrand. From the darkest reaches employs more predictable rhythmic and melodic elements but the Gryphon Trio imbues it with a unified character and somber energy; filling in the weaker gaps in Carrabré’s writing. Both trios on this disc were written for the Gryphon, adding to an extensive library of over 40 commissioned works. A hammer for your thoughts… commissioned and performed by the Winnipeg Chamber Music Society, takes its name from its form and content. 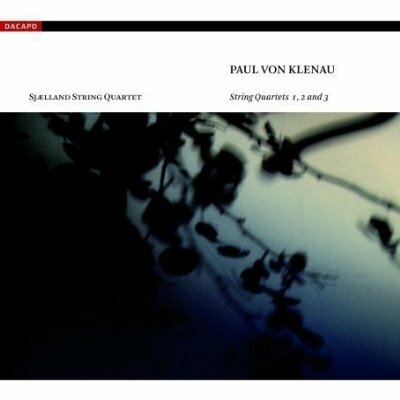 Traditionally piano quintets involve a large solo piano part. Carrabré takes the sound image of the hammered piano strings and expands it to the glockenspiel. The work is filled with repeated-note figures in every instrument, a further play on the same idea. The WCMS doesn’t quite live up to the same standard and level of energy as the Gryphon Trio – it presents a stolid rendition of what might otherwise have been a gripping work. Overall, this disc would make a fine addition to any contemporary Canadian music enthusiast’s library and perhaps that of an adventurous open-minded listener. But if you’re looking for a disc to play during a dinner party, keep shopping. Dès le Prélude (marqué Gravement) de la Première Suite qui ouvre le programme de ce remarquable CD, on est conquis par le mélange de retenue et de noblesse que les quatre musiciens insufflent au chef-d’œuvre de Couperin ; leur cohésion est telle qu’on croirait avoir affaire à un seul instrument, d’une magnifique complexité. L’auditeur sera charmé jusqu’à la fin, notamment par la saisissante Sarabande Grave et la Passacaille ou Chaconne de cette même Première Suite, et par la longue Pompe Funèbre (Très gravement) de la Deuxième Suite. En dépit de son titre, celle-ci ne comprend que quatre mouvements, libérés de la contrainte traditionnelle des rythmes de danse. 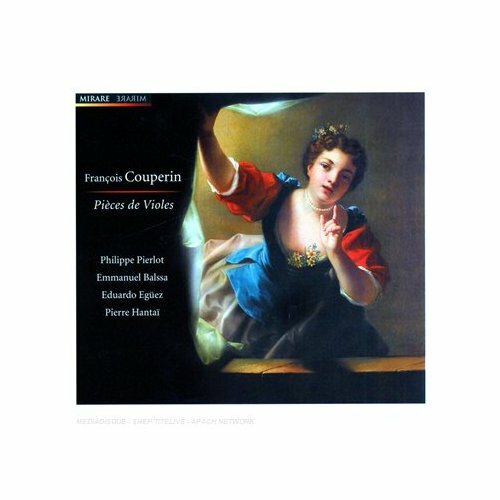 En complément se trouvent deux Concerts formés de transcriptions de pièces tirées des Ordres pour clavecin. Sans atteindre les vertigineux sommets des Suites, ces Concerts ne manquent pas d’intérêt. Les notes de programme, très instructives, sont signées Philippe Beaussant. 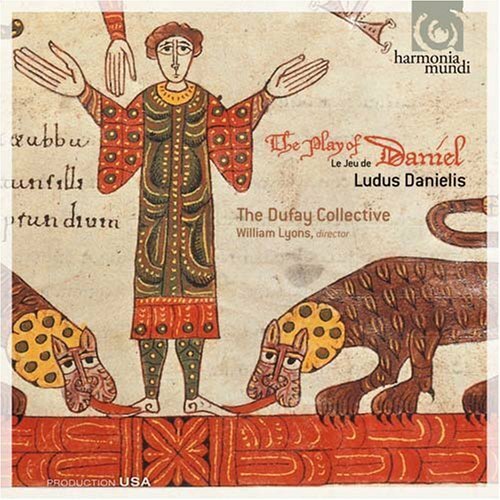 Par son raffinement, cette nouvelle version des Suites détrône celle, intense mais pesante, qu’en avait donnée Jordi Savall (Astrée, 1976/1988). This Manon Lescaut is Puccini at his verismo best. 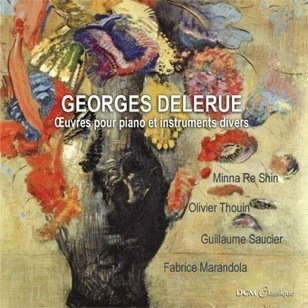 If you are a tenor fan, you’ll love Des Grieux’s four arias and the extended Art Two duet. But the centerpiece here is the great Karita Mattila as Manon Lescaut. A great Eva, Elsa, Jenufa, Katya, Elisabetta, Lisa, Tatyana, Arabella, Salome, and Leonore, Mattila is not an ideal Puccini singer, since her Nordic sound with its cool timbre and relatively "straight tone" is not suited to the "blood and guts" verismo genre. But she is quite wonderful here. Partnering her is Italian tenor Marcello Giordani as Des Grieux. Baritone Dwayne Croft is the callous brother Lescaut and character baritone Dale Travis is Geronte. This quarter-century-old production looks handsome if rather old fashioned. Large gestures in the theatre enable those sitting in the gallery to see what’s going on and heavy make-up prevents the singers' faces from looking washed out. However, such exaggerated acting and heavy make-up have been toned down for the telecast. At 47, Mattila still looks youthful, but there is no point in pretending that she is the embodiment of the teenage Manon, especially when closeups are so unforgiving. Her two high Cs and loads of Bs are thrilling; less attractive are her weak middle and lower registers. 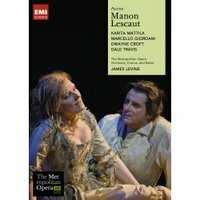 Her Manon is dramatically nuanced, vulnerable and sympathetic. As Des Grieux, Giordani sings with a secure top and is suitably ardent, but he looks a bit mature. Act One is always a bit slow, but by the last two acts, Mattila and Giordani burn up the stage. American baritone Dwyane Croft is good if a little anonymous in the rather thankless role of Lescaut. Dale Travis is excellent as Geronte. Not exactly a Puccini conductor, James Levine surprises everyone with his passionate and involved conducting in an opera he has not touched in twenty years, drawing torrents of sound from the orchestra at the climaxes. Perhaps not a Manon Lescaut for the ages, but overall a satisfying performance. Are you already getting the early winter blahs? I admit I am - as I write this, Toronto is getting whacked by a wicked snowstorm, to be followed by a second deluge 48 hours later. When faced with such a depressing scenario, there is no better tonic than planning the next opera trip, especially one as delectable as the annual Munich Opera Festival. This august festival dates back to 1875 - how's that for longevity! I attended the summer fest last July and had the greatest time. In the span of a week, I saw five operas and a Liederabend, starring some of the biggest stars in the opera world - Kent Nagano, Jonas Kaufmann, Diana Damrau, Angela Denoke, and Canada's own Adrianne Pieczonka. There may be other festivals with equally starry lineups and cutting-edge productions - Salzburg and Glyndebourne come to mind - but none can beat Munich for the sheer variety and consistency of product. 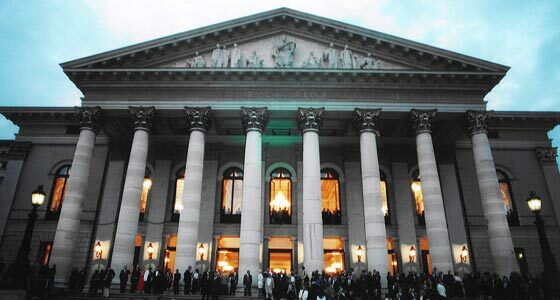 The 2009 Munich Opera Festival Season is five weeks long, from June 30 to July 31. It marks the first season at the helm for Nikolaus Bachler, their new intendant. For me and undoubtedly all Wagnerites, the main attraction will be the festival premiere of a new production of Wagner's Lohengrin, starring German tenor Jonas Kaufmann (opening night July 5). I heard him in a Liederabend last July, and to my ears he is the best young heldentenor today. The timbre of his sound is so reminiscent of a young Jon Vickers that it is absolutely uncanny - the only difference is Kaufmann has better high notes. Opposite him will be the marvelous Greek-German soprano Anja Harteros as Elsa. The conductor is the great Kent Nagano. Montreal audiences will be familiar with his work, but mostly in the symphonic repertoire, so this represents an opportunity to hear him conduct this great score. The stage director is Richard Jones, so expect something cutting edge and unconventional! The second attraction for me will be my favourite tenor, Rolando Villazon, singing two performances of Werther. I saw this very production last July with the fine Polish tenor Piotr Beczala, but to me Villazon is in a class by himself. Also high on my list is a revival of last season's sensational Ariadne auf Naxos starring Canadian soprano Adrianne Pieczonka. It was at the intimate Prinzregententheater - it was the hottest ticket at the festival last July. The 2009 revival will have the same cast, but with Bertrand de Billy replacing Nagano, and it is slated to be taped for release on HD DVD, according to Dr. Ulrike Hessler at a press luncheon last July. Pieczonka will also sing Desdemona in Otello opposite Johan Botha. Italian soprano Barbara Frittoli will sing the title role in Aida in a production staged by Christoph Nel and conducted by Daniele Gatti. An eclectic item on the program is the festival premiere of Leonard Bernstein's one act opera Trouble in Tahiti. Kent Nagano will lead the Mahler Chamber Orchestra in a new version especially prepared for Munich, at the Cuvillies Theater. Last summer in the Cuvillies, performances of Mozart's Idomeneo marked the reopening of this exquisite Rococo theatre. This production will be revised for performances on July 23, 26, and 30. One can also look forward to the return of two big-name divas - Edita Gruberova in Lucrezia Borgia (July1, 6), and Angela Gheorghiu in a gala concert (July 27). Aficionados of song recitals will get to hear Diana Damrau (July 5), Waltraud Meier (July 20), and Jonas Kaufmann (July 26). As is typical of festivals of this calibre, tickets don't come cheap, but there will be a number of free outdoor events to make the festival accessible to all - a concert on June 28 with Nagano conducting the Bavarian State Orchestra will take place on Marstall Square, and on July 5, the opening performance of Lohengrin will be telecast live on Max Josef Square. À défaut de parenté plus évidente, la musique de Paul von Klenau a été comparée à celle de son ami Alban Berg. Toutefois, des nuances s'imposent : chez le premier, la conception des structures macroscopiques est plus traditionnelle et carrée, le déploiement dans la phrase est plus fantaisiste, moins rigoureux, et la technique de conciliation entre dodécaphonisme et tonalité s’avère beaucoup plus transparente. Les interprètes, moins exceptionnels que les autres quatuors auxquels nous a habitué l’excellente étiquette (mais tout de même fort corrects), ont opté pour une lecture très intimiste. Le résultat est parfois sclérosé, ce qui ne l'empêche pas de toucher par moments au délicieux et mystérieux état de grâce propre à l’expressionnisme germanique. - Hold the front page, hot story coming in. - There's a player in the orchestra who didn't like last week's conductor. - Come again? Yeah, that's right. There's a trombone in the New York Phil beefing on his blog about the guy who did Mahler 2. Get some pictures in. Is this some kind of mistimed joke, or the end of journalism on the New York Times? For reasons better left uninvestigated, the Times has made a C1 splash today of comments made by a trombonist - the third trombone, I believe - about the amateur conductor Gilbert E Kaplan who led Mahler Second last week. According to the player, Kaplan ignored 'a blizzard' of Mahler's instructions and had a beat the band could not follow. Any good that came out of the performance was entirely to the credit of the players, working against imposible odds. Well, let's get a couple of things straight. There isn't an orchestra in the world that does not represent a diversity of views. Every time Simon Rattle steps onto the podium in Berlin, a dozen players grunt and grumble. When Abbado rehearsed the LSO, they complained of boredom. When Dudamel does his hightail tricks, they accuse him of showmanship. Musicians complaining about conductors is not news. It's part of their job descrption. The difference here is that a player decided to blog his dissent and the local fish-rag picked it up. Before we consider the facts of the matter - and I attended the performance, as the Times reporter evidently did not - let's just consider whose failure that is. Is it Kaplan's, or is it the New York Philharmonic's for failing to impose appropriate corporate discretion on its musicians? Every self-respecting orchesta in the world maintains certain public courtesies in the interest of self-preservation and maintaining audience mystique. What we have just seen at the NY Phil is a failure of management procedures. If I were chairman, I'd have the chief executive and the PR on my carpet before the morning's coffee break. And while we're in the blame game, let's just ask ourselves if the trombone would have slagged off a professional conductor, whom he might have to face again next season? I think we know the answer to that. Now to the performance. I make no secret of being a long-standing friend and admirer of Gilbert Kaplan's. I have published that disclaimer several times and have no reason whatsoever to be ashamed of it. Having watched him master the work over almost 25 years, I am convinced - and so are many musicians - that no-one alive has such detailed knowledge of the score. My own credentials on the subject are as the author of one published book on Mahler and another in progress. But don't take my word for it. Players in the London Symphony Orchestra, the Vienna Philharmonic and the Stockholm Phil will testify to his grasp of minutiae - not just the annotations that Maher made on 14 different scores but the reasons for those annotations. If the trombone is feeling frisky, perhaps we should put him on a platform with Kaplan to see which of them knows more of the notes. There is certainly criticism to be made of Kaplan's technique - he is an amateur, after all - and he does not bring to the rostrum the encyclopaedic knowledge of repertoire and orchestral psychology that one can expect from a Jansons or a Maazel. But he can deliver a memorable performance and he seldom fails, in my experience, to illuminate something new in the score. I have heard him do the Mahler 2 several times, on occasion with greater impact than he made at Avery Fisher last week. The original NY Times review was very positive and there were rhythms in the second and third movements that he delivered more idiomatically and true to score than I have heard from most professionals. The performance as a whole achieved its intended catharsis - and if the New York Philharmonic think they can do that without a conductor, as the tromb one suggests, well, let's see them try. Go on, book a date. I had the impression, watching the orchestra's body language, that they were not comfortable on the night. They are a bunch of very fine players. They also have a reputation for very bad attitude. There is a reason why many of the world's best will not conduct the NY Phil. And that may be the same reason why the next music director barely ranks in the top league. If there was a story to cover here, it was about the New York Philharmonic behaving badly. But are we going to read that in the New York Times? When pigs can fly, perhaps. Steven Isserlis gives a masterclass on Schumann's "Fantasy Pieces"
Incandescente, imprévisible, insaisissable, Martha Argerich se révèle très rarement autrement que dans ses interprétations. Georges Gachot propose ici un rare portrait, où la pianiste argentine se confie avec une candeur saisissante. On voit sa main s’attarder sur sa chevelure mythique, son regard de braise brûler la pellicule pendant qu’elle évoque, en phrases elliptiques, son premier choc musical à six ans (le Quatrième Concerto de Beethoven par Arrau), ses mois d’apprentissage avec l’iconoclaste Friedrich Gulda, ses succès en concours, son premier refus de jouer en concert (à 17 ans ! ), sa volonté d’être continuellement surprise par la musique. Elle transmet son amour pour Ravel, Prokofiev, Schumann – « Je crois qu’il m’aime bien », avance-t-elle avec un sourire désarmant. 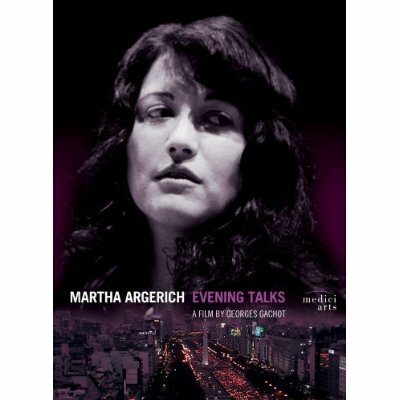 Argerich dévoile aussi pendant quelques instants troublants sa vulnérabilité envers l’expérience de concert, l’intensité de sa panique, sa terreur des récitals en solo (d'où sa préférence pour les collaborations en tant que chambriste). On reste fasciné par l'ampleur de ce qu’elle ose révéler dans le quasi-soliloque, capté en une seule soirée post-concert par Gachot en 2001, qui sert de fil conducteur au film. L’émotion du specateur est encore plus vive quand il la (re)découvre grâce à des documents d’archives, dans une Rhapsodie hongroise de Liszt interprétée adolescente, un sublime Concerto en mi mineur de Chopin à Paris en 1969, un électrisant Troisième de Prokofiev en 1977 ou même en répétition avec l’Orchestre de chambre de Wurtemberg dans un Concerto de Schumann tout en fluidité. Comme a dit d’elle Daniel Barenboïm : « Un très beau tableau, mais sans le cadre ». Choral Music in the 19th Century is a concise overview. Author Nick Strimple strayed from the catalogue approach, covering his material geographically. Included are composer anecdotes, illuminating quotations and relevant articles. Inevitably, some pivotal composers (Beethoven, Schubert, Brahms and Dvorak) are given more attention but he highlights some lesser-known works and composers worth examining. 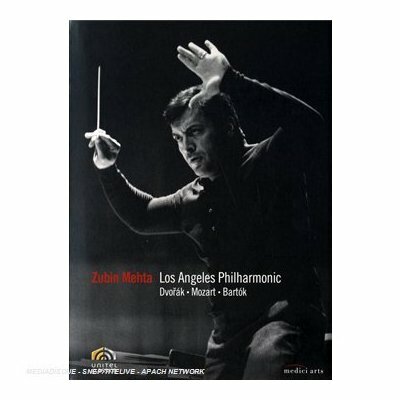 These works would be of particular interest to conductors looking for unusual repertoire. The works listed are varied, covering male, female, children’s and mixed choirs. A comprehensive repertoire list and bibliography close the book. Strimple also analyses the impact of major historical events on the composition in that era, including the French Revolution, the growth of Nationalism and the wars of 1848. He also notes the emergence of choral organizations and the growth of the male choir movement. 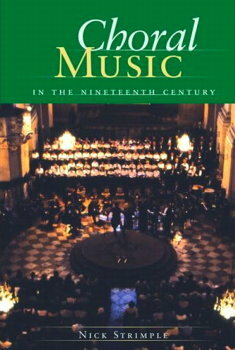 In conclusion, one can thoroughly recommend this volume to anyone who is interested in the choral music of this era. The casual listener will find a wealth of ‘new’ material to explore, conductors will find new repertoire choices and choral-lovers will enjoy a thorough overview. 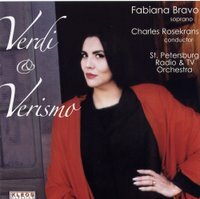 Argentinean soprano Fabiana Bravo is that rare breed – a true spinto soprano with a dark-hued powerful instrument, strong sense of drama, and glamorous stage presence. Since winning the 5th Luciano Pavarotti Voice Competition in 1996, Bravo has made a name for herself in the Verdi and verismo repertoires. A generous artist on stage, her performances are noted for their intensity and all-out vocalism. 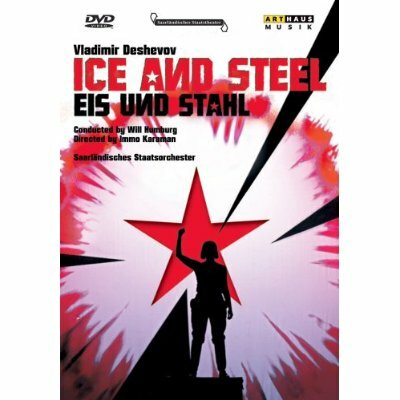 This CD, recorded in St. Petersburg, Russia, in 2006, gives the listener a good idea of her art. The disc is a generous 72 minutes long, featuring 14 arias from Don Carlo, Simon Boccanegra, Corsaro, Aïda, Forza, Mefistofele, Adriana, Wally, Tosca, Andrea Chenier, Edgar and Suor Angelica. The singing is impressive, particularly her blazing top with a genuine high pianissimo, which she uses to great effect in “La vergine degli angeli” and “Senza mamma”. The timbre and weight of her sound are ideal in the Verdi and Puccini heroines featured on the disc. For dramatic effect, Bravo is not afraid to dip into her generous chest voice. Like other big-voiced dramatic sopranos, Bravo is best seen on stage, as this type of voice isn't so easily captured on disc. The close miking exaggerates her breathing, and sometimes one can hear a slow vibrato and an overall unsteadiness. Occasionally, she telegraphs a coming high note by breaking the line to take a breath, as in “Vissi d'arte” and “O patria mia”. The St. Petersburg Radio and TV Orchestra under American conductor Charles Rosekrans does yeoman service – one wishes for more incisive and commanding leadership from the maestro. These quibbles aside, the disc is well worth a listen for those curious about the art of this exciting soprano. 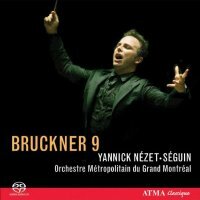 L’interprétation de la Neuvième de Bruckner par Nézet-Séguin suscite les mêmes réserves que celle de la Septième, enregistrée il y a deux ans par le même chef. Un trait étonnant, innovateur de l’écriture brucknérienne, consiste à opposer les sections orchestrales pour qu'elles soient à la fois contraires et complémentaires. Privée de ce contraste, l'oeuvre peut paraître malhabile, ainsi que l'ont jugée ses premiers détracteurs. Ici, l’équilibre des blocs sonores laisse à désirer. La section des bois de l’Orchestre Métropolitain tend à s'effacer; les cordes, elles aussi, peinent à se faire entendre lorsque la masse orchestrale est imposante. Dans ces conditions, les thèmes semblent surgir de nulle part et disparaître à l’improviste, et leur mise en relief, dans certains cas, est pratiquée sur un fond plutôt brouillé. Du coup, la présence simultanée d’autres événements musicaux n’est plus perceptible ; le tissu orchestral en sort aminci. Il faut croire que Wand, Jochum, Celibidache ou Giulini ont placé trop haut la barre de cette œuvre exceptionnelle. Tout professeur sait combien il est difficile de faire lire correctement les élèves. Ceux qui ont une bonne oreille réussissent presque toujours à bluffer, alors que les plus faibles poussent parfois l'enseignant au découragement. Comment leur faire travailler la lecture sans qu’elle ne devienne un pensum ? Isabelle Robert propose ici un manuel intéressant, très bien gradué, pour venir en aide à tout le monde. Dans la section « lectures mélodiques », l'exercice est d’abord limité à deux notes, puis à trois, jusqu’à huit - sur une octave, puis sur deux. À la fin de la section, on accède à la lecture méli-mélo, qui occupe deux pages (j'en aurais souhaité davantage). Isabelle Robert aborde la lecture rythmique dans la deuxième section, les rythmes travaillés se trouvant dans l’en-tête de page. 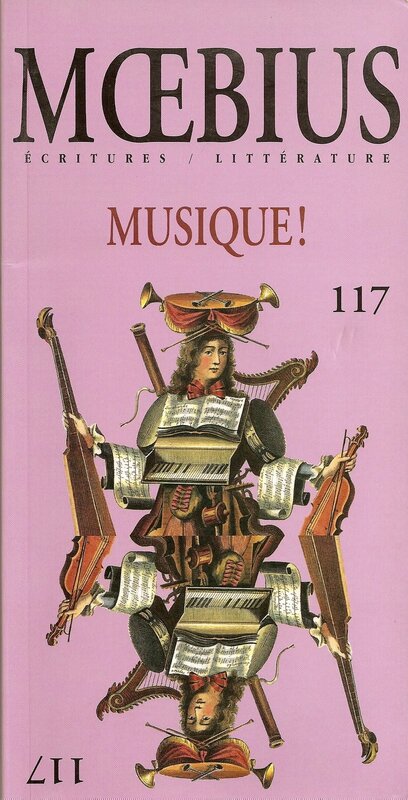 La dernière section propose deux pages où lectures mélodique et rythmique sont jumelées, faisant de l'exercice un excellent prélude au solfège traditionnel. L’auteure propose quelques pistes d'utilisation de son matériel, mais elle encourage surtout le professeur à se montrer créatif. Fait à signaler : le document n’est pas disponible en version imprimée, mais seulement en téléchargement sur Internet. Vous pouvez donc choisir de l’imprimer ou faire travailler les élèves directement à l’écran, la petite main du curseur PDF servant de repère au besoin. Voilà un petit opéra-comique tout à fait charmant composé en 1940 et, surprise, issu de la plume de Prokofiev. L'entrée en guerre de la Russie a annulé les espoirs de longévité de cette œuvre légère, basée sur une pièce de Sheridan (1751-1816). Betrothal in a Monastery raconte l’histoire de la fille d’un riche aristocrate qui cherche à se soustraire à un mariage forcé. La musique enjouée, souriante, pétillante, rappelle la Symphonie classique. 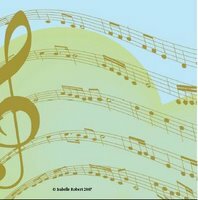 Les solistes sont presque tous russes, d'où le parfait naturel des inflexions vocales et musicales. À une solide distribution s’ajoute la direction précise et nerveuse de Vladimir Jurowski, qui obtient de ses Londoniens une palette d’émotions et de couleurs très variée. Le luxueux livret présente les textes en français, anglais, allemand et russe (cyrillique malheureusement : aucune chance, donc, de suivre les dialogues originaux à moins de savoir déchiffrer cet alphabet particulier), illustrés de quelques belles photos de la production 2006 du Glyndebourne Opera. Musically, The General is essentially Beethoven’s incidental music for Goethe’s play Egmont. But the original Goethe text has been set aside and replaced by a new one created by the Welsh music critic Paul Griffiths. The General is based on the Rwandan experiences of Canadian general Roméo Dallaire, as recounted in his book Shake Hands With the Devil. Dallaire was head of the ill-fated UN peacekeeping mission in Rwanda in 1993-1994. The world simply wasn’t interested in preventing the massacre and Dallaire returned to Canada a broken man. For some reason Griffiths decided to tell the Rwanda story without mentioning either names or places. But without any mention of Rwanda, Dallaire, Tutsis and Hutus, Griffiths’ text is almost meaningless. This recording has been issued in both an English and a French version but neither one includes the text. Some fine music-making on this set but lots of questions too. 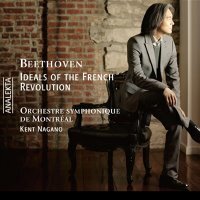 Fans of Kent Nagano – and there are a growing number of them – will want to have this album as the first recorded documentation of his work in Montreal. Ce CD n’est accompagné d’aucune note explicative mais comprend une invitation, rédigée en anglais seulement, à consulter quatre sites Internet pour obtenir des informations. 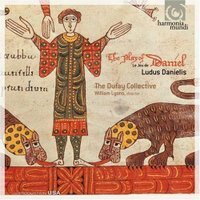 On y apprend que l’ensemble I Furiosi est torontois et qu'il réunit des musiciens canadiens qui auraient renouvelé l’interprétation du baroque. On ne s’en serait pas douté à l’écoute du disque, dont l’objectif est de parcourir, et je traduis, « les corridors de la folie elle-même ». Le programme se compose de quatorze numéros : airs sur le thème de l’insanité amoureuse, sonates et variations de compositeurs italiens et anglais du 16e au 18e siècle, dont « La Folia » de Vivaldi, et « Suzanne » de Leonard Cohen (l'allégeance baroque de Cohen m'était, je l'avoue, inconnue). Les ratés d’intonation des cordes, l’absence générale de style, les limites de la soprano et une prise de son sans relief amènent l’auditeur à s’interroger sur l’utilité d’un tel enregistrement. Every month, forty or so music-lovers gather in one of the finest private homes in Austin to listen to chamber music: this is Salon Concerts, now in its nineteenth season. Salon Concerts was created by two of the finest musicians in the area – violinist Robert Rudié and pianist/composer Kathryn Mishell. As Robert approaches his 90th year, he continues to appear as a violinist in the series – at this concert he played excerpts from Bach’s Sonata No. 1 for Solo Violin with wonderful tone and expression - but more and more of the artistic direction has been taken over by his wife, Kathryn. I joined the group for their latest soirée called Instrumental Magnetism, and enjoyed it immensely, not least of all for the chance to hear a new work by Kathryn. The piece was called "Duo for Violin and Cello: Reunion," and there is a fascinating back story. In the 1860s in Paris, one of the great makers of string instruments was Gand Frères. Of the many instruments produced by the company over the years, two of them found their way to Austin. There was a violin owned by Brian Lewis, a professor of violin at the University of Texas, and a cello owned by Douglas Harvey, principal cellist of the Austin Symphony and the Austin Lyric Opera. In fact, the two instruments were part of a set of four commissioned by Napoleon III and all were made from the same piece of wood! While the two Austin musicians knew each other, neither knew until recently that the other owned a Gand. Lewis and Mishell had the brilliant idea of bringing the two musicians together to play chamber music on their “Gands.” But more than that, Mishell would bring them together to play music especially written for them and their precious instruments. Against this background, composer Mishell set to work. As a unifying musical device she used the familiar French nursery song"Frère Jacques," thus indicating 1) the birthplace of the instruments - Paris, France, 2) the makers of the instruments - Gand Frères, and 3) the fact that in being created from the same piece of wood, the two instruments are natural brothers (frères). Kathryn went a step further. She told me that since the sibling instruments were born in 1863 and 'grew up' in France, they would have known and 'sung' "Frère Jacques" as 'children', as the first publication of the words and music together dates from 1860. Lewis and Harvey gave a fine performance of the new piece, showing off their Gands and their own considerable talents. Lewis even brought along some coins from the time of Napoleon III to show audience members, in the spirit of the occasion. The first half of the evening’s program included an impassioned performance of Bohuslav Martinu’s "Three Madrigals" by Lewis and Bruce Williams, principal violist of the Austin Symphony. Lewis and pianist Rick Rowley then presented the rarely-heard "Elegy" by Martinu student Vitizslava Kaprálová. Mishell is well-known for championing women composers – her KMFA radio series Into the Light won a Communicator Award of Distinction last year – and tries to work at least one piece by a woman into each Salon Concerts program. Kaprálová was a gifted young Czech composer destined to become a major figure. Sadly, her life was cut short by tuberculosis at the age of twenty-five in 1940. The "Elegy" is a beautiful piece and deserves to be better-known. For more on Kaprálová visit the website of the Kaprálová Society. The society is based in Toronto and includes on its advisory board two old friends of mine: pianist Antonin Kubalek and conductor/broadcaster Kerry Stratton. The major work on the program was Brahms’ Piano Trio No. 1 in B major Op. 8, played by Lewis, Harvey and Rowley. I prefer the opening tune played with a little more restraint so that one can fully savor its breadth and nobility, but in this performance enthusiasm and the sheer joy of making music carried everything before it. After all, the tempo marking is ‘Allegro con brio’. I think, however, that I have the composer on my side for the tempo in the slow movement. Brahms marked it ‘Adagio’ and ‘four to the bar’, but pianist Rick Rowley started off at what seemed to me double the tempo, with far too much volume. Surely, those opening chords are meant to suggest almost a suspension of time, just hanging in the air, at a distance, and barely audible. Admittedly, this is difficult to achieve in the living room of a private home - but it can be done. As always, the music-making was followed by some world-class cuisine, prepared by the ever-resourceful Chef Pascal. If I am giving the impression that Salon Concerts is some kind of elitist enterprise, bear in mind that the price tag for the concert and the food was all of $35. Consider also that Salon Concerts manages to raise enough money to maintain its educational activities, in addition to its intimate concert series; the CHAMPS program provides weekly chamber music coaching to over sixty young musicians in Austin’s middle and high schools every year. Paul E. Robinson is the author of Herbert von Karajan: the Maestro as Superstar and Sir Georg Solti: his Life and Music, both available at http://www.amazon.com. For more about Paul E. Robinson please visit his website. Cette toute nouvelle version des deux œuvres les plus populaires de Haendel est, en théorie, « authentique ». Cependant, et bien qu’admirablement rendue par l’ensemble italien L’Arte dell’Arco, elle soulève des questions sur le sens du terme « authentique ». Une interprétation est-elle authentique parce qu'elle fait appel aux instruments anciens ? Assurément pas. Ou encore parce que les forces d’exécution de l'œuvre sont réduites ? Le doute s'accroît. 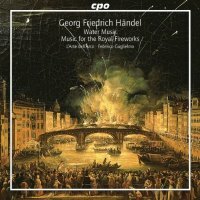 Federico Guglielmo dirige ici un ensemble de 26 musiciens; or, Water Music et Fireworks ont été composés pour de vastes, voire monumentaux déploiements extérieurs… Cela dit, l’interprétation extrêmement vive et dépouillée proposée ici de ces icônes de la musique anciennes vient rafraîchir, dépoussiérer les sentiers de l'orthodoxie post-baroque. Elle met en relief des textures nouvelles, des lignes discursives souvent noyées, ou simplement oubliées. Je ne voudrais pas me départir de mes enregistrements « épiques » de Haendel, mais suis maintenant heureux d'en posséder une surprenante révision. Je crois que vous le serez aussi. 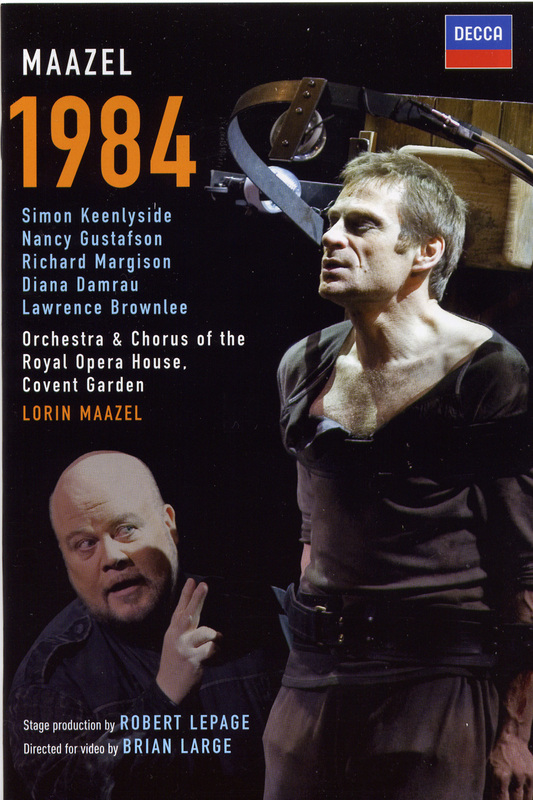 Based on George Orwell's dystopian novel, conductor/composer Lorin Maazel’s operatic adaptation of 1984 attracted a great deal of attention when it premiered at Covent Garden in 2005, but unfortunately for Maazel it was mostly of the wrong kind. Although the singers were praised, the British press was hostile. The score was deemed banal and derivative; and there was much nasty snickering that Covent Garden had “sold out” by mounting a vanity project heavily subsidised by the wealthy composer. In 2007, performances in Valencia fell through due to severe flooding of the opera house, but a revival subsequently took place at La Scala in early 2008, again to mixed reviews. 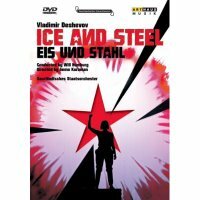 This DVD release captures the Covent Garden production. Contemporary classical music, and opera is no exception, faces the challenge of balancing musical and compositional merit with accessibility to the public. In terms of box office, the Covent Garden performances were sold out and the La Scala revival was said to be profitable – not many works can claim to have achieved that. But upon careful listening, it must be said that some of the criticisms levelled at 1984 are not without foundation. Maazel's score lacks a single musical language – the piece is a patchwork of many different styles. He writes more gratefully for the voice than many modern day composers, but the vocal line tends to dominate at the expense of the orchestration, which isn't so complex or interesting. 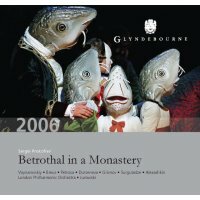 A more unfair criticism has to do with the straightforward adherence of the libretto to the book. It is felt in some circles that, given the recent UK responses to terrorism in London through mass surveillance, the composer and librettist should have updated the story to reflect this. 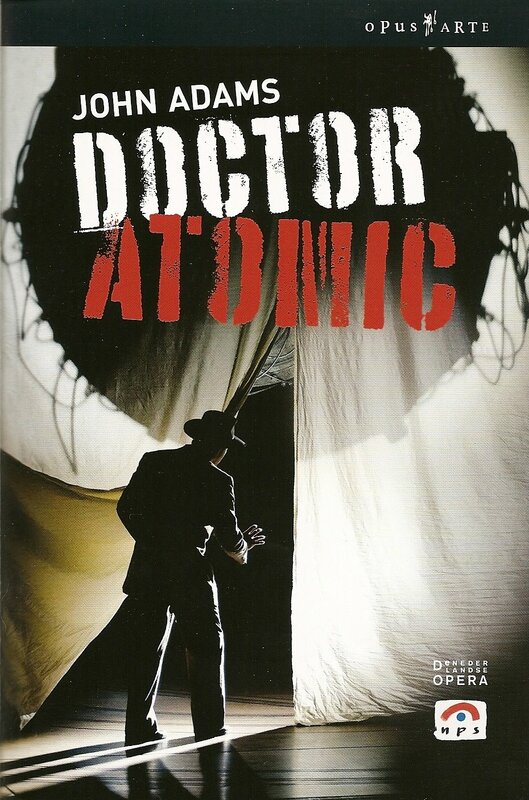 In any case, if one were to consider this work as a sort of “cross-over opera” along the lines of a musical, 1984 works well – I find it gripping theatre. The sets by Carl Fillion, the costumes by Yasmina Gigeure and the direction by Canadian Robert Lepage are effective. The opera works well on the home screen, expertly executed by veteran Brian Large. The singers, led by the magnificent Winston of Simon Keenlyside, are uniformly excellent. Keenlyside is well partnered by Nancy Gustafson’s Julia. As O'Brien, Richard Margison gets a rare chance to play the bad guy. Diana Damrau must have relished the chance of doing the split – not to mention her stratospheric high notes – as the Gym Instructor, and Lawrence Brownlee (Syme) also gets to show off his high register. 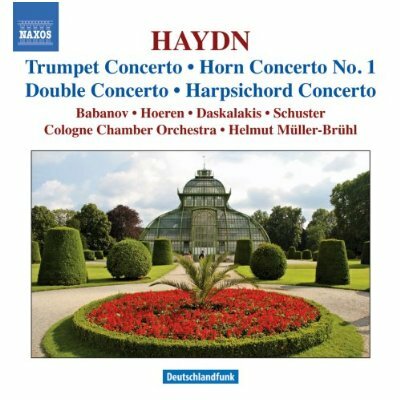 Included in the release is a 27-minute introduction to the opera by Maazel, illustrating at the piano – he is not shy about showing off his singing voice either! On balance, this work is effective and provocative theatre and well worth experiencing. La littérature a de tout temps influencé la musique classique. Peut-on tenter l'association inverse? C'est ce que ce numéro de la revue littéraire Mœbius cherche à faire ici. D'entrée de jeu, on nous propose de jouer à l'avocat du diable, Philippe Gervais et Bertrand Laverdure prenant un malin plaisir à énoncer puis débouter certains préjugés entretenus face à la musique dite de concert. Le sujet est ensuite abordé tour à tour de façon presque tendre (les souvenirs de Claude Vaillancourt ou de Gilles Marcotte), plus pointue (le compositeur Antoine Ouellette qui tente de cerner le genre) ou plutôt virulente. Michel Gonneville livre ici un pamphlet inspiré, rédigé peu après l'annonce du départ de Georges Nicholson d'Espace musique. Côté fiction, la musique classique sert de matériau à quelques nouvelles assez bien menées. Une mention spéciale salue ici la plume habile de Stanley Péan dans Neume me quitte pas, le ton légèrement décalé de Simon Paquet dans Un cas classique ou l'intensité saisissante de Susanne Jacob dans Adagio / Lapidation. Karina Cahill propose quant à elle Suite de mouvements en concert, une nouvelle toute en finesse dont le parcours narratif est astucieusement inspiré par des pages de Rameau. Hans-Jurgen Greif retrouve un univers qu'il connaît bien, celui de l'opéra, dans la douce-amère La reine Cendrillon. Un recueil intéressant, multiforme, comme la musique qui l'a inspiré. Music for the organ and violin has received little attention for the last 120 years, but this disc of 13 pieces from eight composers demonstrates how both Romantic and Modern composers value the two instruments. The gems are found at the beginning and end. The album opens with the gloomy organ chords of the late Romantic Swedish composer Gustav Hägg’s Adagio, Op. 34. After the first few solo bars, the violin enters singing a dejected melody that sets the tone for the entire album. Canadian composer John Burge’s dramatic and musical Variations Éclectiques, written especially for Robert and Boucher, closes the album. Based on variations of minor and chromatic themes heard in the first few bars, the 15-minute piece is driven, yet haunting. The violin is played with precision and poise while the organ permeates with rhythmic, yet dark themes, occasionally pushing the tempo into a 3/4 waltz. While the music borders on the sinister, the duo brings to life Burge’s ghostly lyricism. 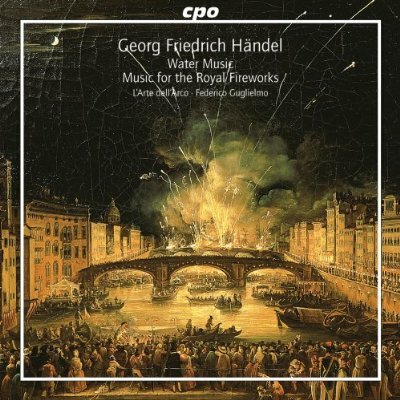 Other highlights include Paul Gläser’s lamenting Troestung and Herman Schroder’s well crafted Funf Stücke für Violine und Orgel. The poignant melodies from Robert’s violin and Boucher’s lyrical, yet often melancholic, organ create a powerful and emotional hour of music.